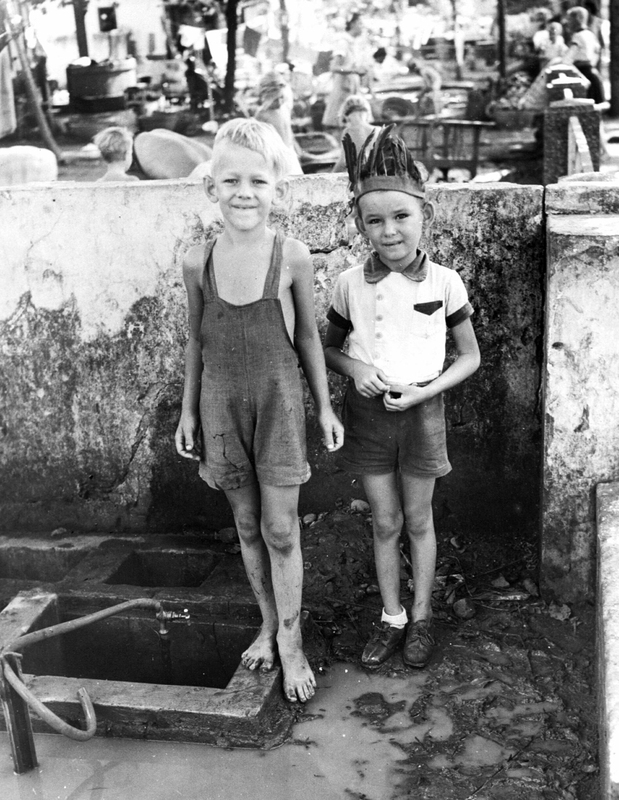 Soon after the Pacific War ended the notion of “camp children” (Kamp kinderen in Dutch) became known among Red Cross and RAPWI workers dealing with the stream of refugees emerging from the civilian internment camps South East Asia. It was not a term of approbation. We tended to be very independently-minded and not overly respectful of public property. Adjusting to “normal life” was difficult , because for us camp life had become the norm. I found school difficult, not because of the lack of prior education, but because of the challenge faced by me joining in with play ground games that involved skills I had never learned in camp. 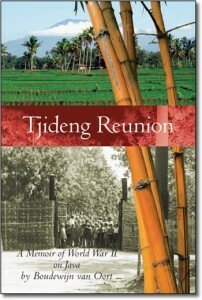 The book Tjideng Reunion is mainly an account of the life of my parents through the war years and thereafter, but inevitably my own experience is touched upon here and there. I only really became conscious of being “odd” or “awkward” after having become an adult. All things considered, I was extremely lucky. It takes time to gain perspective. There is ample evidence that my experience was widely shared. Ernst Hillen’s excellent book, “The Way of a Boy” hints at this as well, as does the sequel, “Small Mercies”. Mark Felton’s book, Children of the Camps, (which incidentally has my picture on the cover- see above), recognizes the issue, but has failed to expose the breadth and depth of misery that was the legacy of the War. Dr van Velden who wrote her PhD dissertation on the subject of the Japanese civilian camps ( published 1985). Did not address the lasting, post- war effects of internment experience. The boys who spent part of their internment in the so-called boys camps, gained some attention, but very little. The one (Dutch) website I found dwells on such issue as compensation , and family reunion, and not on therapy. Language is a constraint, because the most profound suffering took place on Java, and the victims, if prompted would have expressed themselves in Dutch. Very few victims have trodden this painful path. Pothole Bob , ex prisoner of Tjideng , and my age, was one such tragic victim. There are many childhood reminiscences publishedÂ by women who spent their childhood in a Japanese prison camp, but there are hardly any by men. It is also the case that many more dairies were kept by adult women in Japanese prison camps, than by adult men. Exceptional publications have been noted elsewhere. The entire experience I went through consisted of two quite distinct phases and they overlapped. During the war I had witnessed and suffered very unpleasant things, and while still in the camp, lived in fear. When we left the camp the threats were suddenly left behind during my day-time hours but at night I suffered from nightmares related to those war-time experiences and they lasted for years until quite late in life. But after the war another, new, a problem affected me: the challenge of adjusting to “normal life” among children my age. I saw myself in those days as a misfit of sorts, and in one way or another that image pursued me until late in life. The very first time I became conscious of an omission from my social development was when I graduated from Carleton and headed off to Oxford at twenty three years of age. I vowed then that I would overcome my phobia of team sports , involving ball throwing, hitting and catching and athletics in general. That type of activity had beenÂ totally alien to me when I started schooling in South Africa as a nine-year old. In Oxford I took up rowing but I did learn to tolerate long distance runs as a training discipline for rowing. I had no choice . I now was member of a team. Are my, and my fellow travelers’ experiences as children growing up amidst dramatic social environmental change, indicative of the experiences of the huge new wave of refugees fleeing civil wars in the middle East and Africa to start a new life in Europe or North America? 2 Responses to "Camp Children"